PREDICTif successfully implements Hyperion Planning and Budgeting Cloud Service (PBCS) to replace an oil and gas company’s manual Excel based forecasting system. These issues made the existing solution severely limiting in terms of the ability to predict its revenue and costs for each of its business units. The Customer decided to replace its manual, error-prone, labor intensive financial reporting and planning solution with a more automated, streamlined and cloud-based one. The solution provides a scenario based Planning and Forecasting option while also allowing for a single reporting repository to allow for easily retrievable and reliable data, providing one version of the truth. PREDICTif adopts a phased approach that minimizes the impact of change in an effort by breaking the implementation into two phases by its business units: (1) Oil Exploration and (2) Production and Gas Pipeline. This allows concurrent efforts of phase 1 user acceptance testing and phase 2 solution development, meeting Company’s tight deadline. 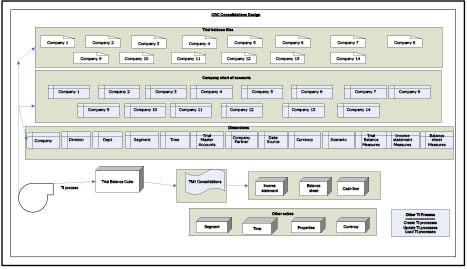 Builds and deploys the desired hierarchy in PBCS for initial use by the exploration and production team. Uses the hierarchies built as the basis for building out business rules, calculations, and Hyperion webforms. Implements a connection to the general ledger system using Financial Data Management Enterprise Edition (FDMEE) and an SQL query to produce a flat file to source data into the application. Builds and deploys the second portion of the hierarchies for gas transportation. After user acceptance testing, both pieces were migrated into Production on-time and on-budget. Additionally, PREDICTif provides customized SmartView and PBCS training as the team begins the preparations for User Acceptance Testing. As the go-live date approaches, enhanced training is given to the administrator level users to prepare them for maintaining the solution going forward. Training gives the user a broad knowledge of the Hyperion technologies as well as a focused, more practical knowledge that they can take back to their desk and use within days. 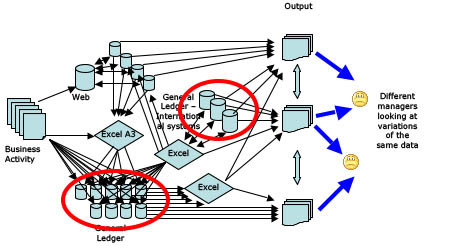 Segregating the trainings into a user group and an administrator group not only allows for the User Acceptance Testing to be performed in a more timely and efficient manner, but it also allows for users to effectively manage their time by not having to take trainings that will not apply to their skill set. The success has laid a foundation for future phases that will further automate the existing financial planning and reporting process by leveraging other PBCS functionality such as EPM Automate and cloud to cloud data integration.